The U.S. Air Force is reviewing industry studies of fitting its 50-year-old Boeing B-52 bombers with new commercial-derivative engines, according to Lt. Gen. Stephen Wilson, commander of the service’s Global Strike Command. So far, Wilson said Oct. 9 at a Washington meeting, the Air Force assesses that the change would result in a net cost savings over the remaining life of the B-52s, which are expected to fly until 2040. Wilson did not identify the contractor that made the proposal or whether more than one company is involved. However, an industry source confirms that Boeing has presented a “concept brief” and that General Electric has looked at fitting the bomber with eightCF34-10 engines. Pratt & Whitney also is exploring options. Fitting new engines would sharply reduce the bombers’ fuel burn, and in turn reduce the need for tanker support, Wilson said. Moreover, under current commercial standards the new engines would not have to be removed for routine maintenance over the lifetime of the aircraft. Wilson’s Global Strike Command and Air Force Materiel command are examining the proposal; separately, Wilson said he wants his command to become more agile and innovative in terms of procurement and upgrade programs, and that he has worked on learning lessons from Air Force Special Operations Command in this area. One example is the Dragon’s Eye demonstration this summer, in which a Northrop Grumman ASQ-236 radar targeting pod was fitted to a B-52 and flight tested in four weeks. The main obstacles to a re-engining program could concern budgets and regulations, Wilson says. Airline operating experience would have to be used to support military airworthiness requirements, and the proposal rests on recovering an early investment through lower operating costs. Wilson notes that commanders have budgetary discretion to spend money against future energy savings when they modernize bases and other facilities, but not to modify aircraft. This represents at least the third attempt to re-engine the B-52, which is powered by eight TF33 engines similar to those used on the Boeing 707. 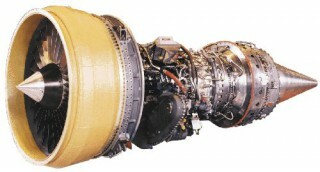 Pratt & Whitney studied the idea in 1982, with four PW2000-series engines. In 1996 Boeing and Rolls-Royce jointly proposed to fit B-52s with four RB211-535s, with the government leasing the engines. The first plan was not taken up because all B-52s were to be replaced by B-1s and B-2s by the late 1990s, and the second failed because of resistance to leasing combat assets and a flawed economic assessment by the Air Force. According to a 2004 Defense Science Board report, the USAF failed to take the cost of air refueling into account. At that time, tanker-delivered fuel cost $17.50 per gallon, 14 times the cost of fuel on the ground. The DSB task force “unanimously recommend[ed] the Air Force proceed with B-52H re-engining without delay,” but no action was taken. “Had we done it all those years ago, we’d be patting ourselves on the back today and telling everyone how smart we were,” Wilson said. GE’s eight-CF34-10 option could deliver more thrust than the current engines (variants are rated at 17,640-20,360-lb. thrust) and would avoid engine-out handling issues. Pratt & Whitney announced in May that it was launching the PW1135G-JM, aimed initially at the A321neo and rated at a 35,000-lb. thrust class, slightly more than two TF33s. The new engines would deliver an even greater performance and efficiency improvement than the engines proposed in 1996. The RB211-535 has been out of production since the end of the Boeing 757 line in 2004, and the last F117s (military PW2000s) are being delivered with the final C-17s, so neither engine is a strong candidate today.